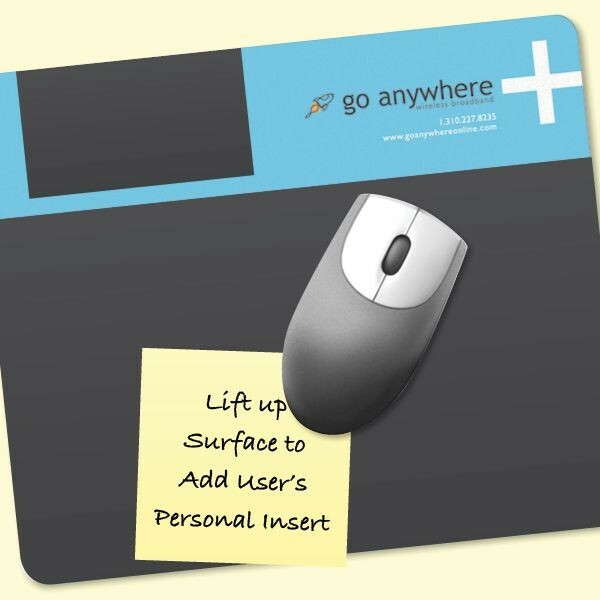 These popular Frame-It Lift® DuraTec® 7.5"x8"x1/16" Lift-Top Window/Photo MousePads let your prospects add personal content like photos, phone lists, notes, software shortcuts, training guides, and quick reference info into this pad's large window area by lifting up the mousepad's surface. 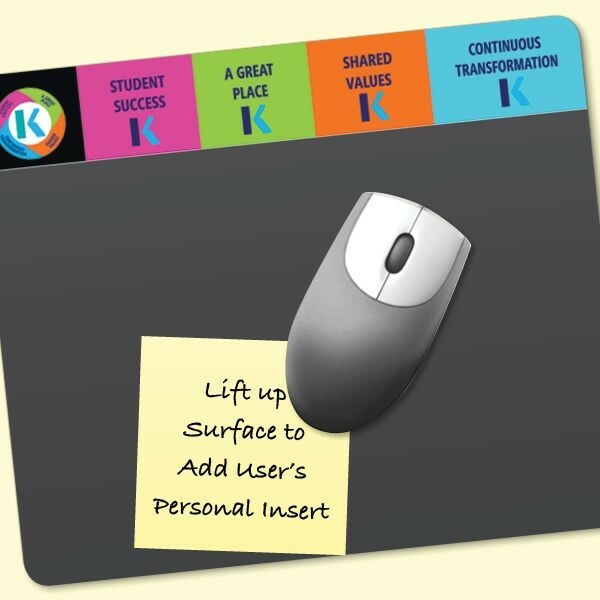 Mixing your customer's cherished photos & critical notes with your branding makes this promotional mouse pad more valuable to your users and more effective for you. Made in the USA using materials ALSO Made in the USA. This ensures your promotion is kept close at hand and in sight. For extra impact, add a custom window shape, business card window, or custom insert to this versatile mousepad. This mouse pad's DuraTec® base is odorless & latex-free making it perfect for hospitals & schools. Minimum order is 100 pads. 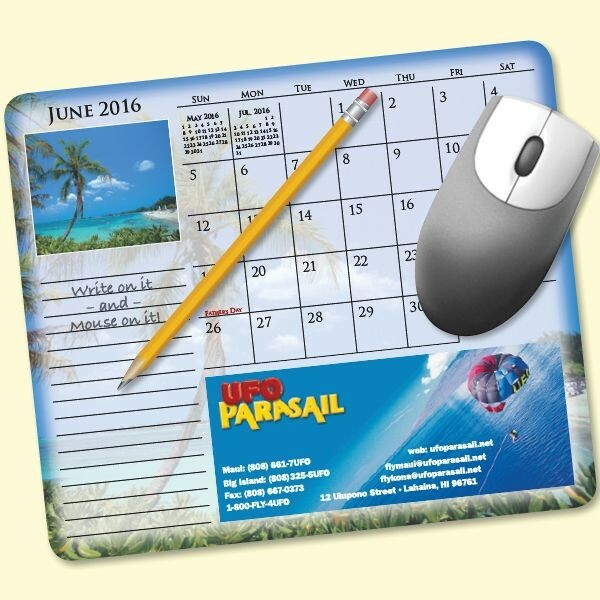 These popular MousePaper® Calendar 24 Month 7.25"x8.5" Paper Mouse Pads have your message printed on each page combined with a monthly calendar. 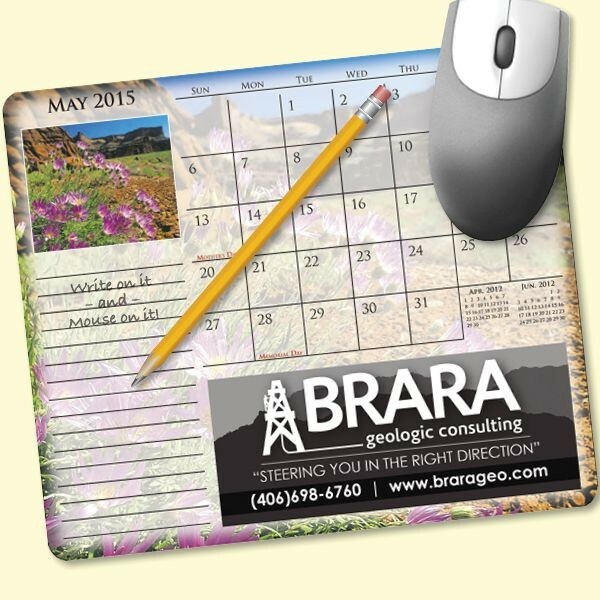 Built with 30% post-consumer recycled paper, these eco-friendly calendar mousepads are a promotional "triple-threat" giving you the full impact of a monthly calendar, note pad, and mouse pad. 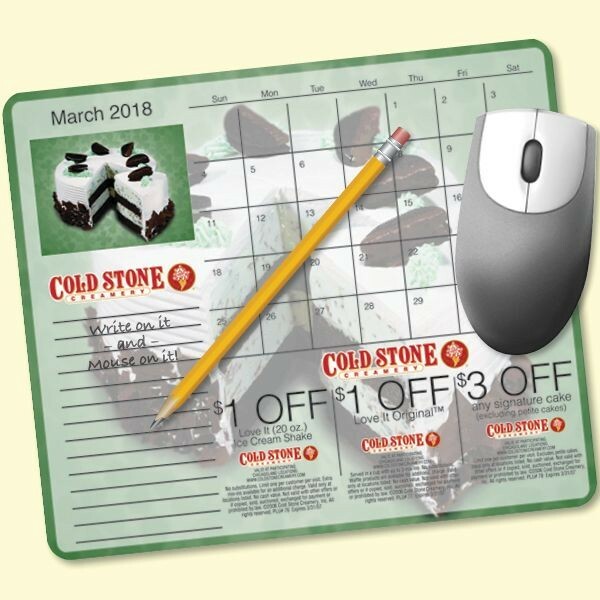 You can start your calendar on ANY month creating an effective calendar promo any time of year. Made in the USA using USA Made material. Plus, this full color mouse pad comes with a built-in hang tab so it can be used as a wall calendar if the user doesn't need a mouse pad. 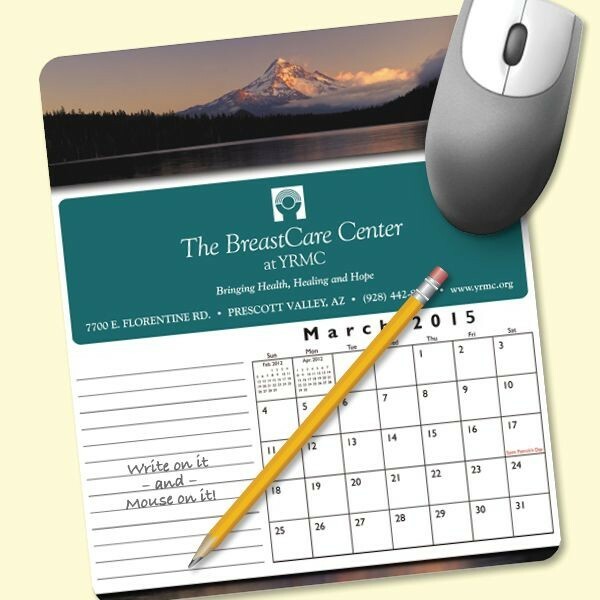 At month's end, user's tear off the mouse pad's top page getting a clean calendar complete with your branding. Every page is like getting a new mousepad every month. Minimum order is 250 pads. Most everyone uses a mouse, and almost everyone needs a to jot down a note. Our custom personalized 40-sheet pads (a.k.a. 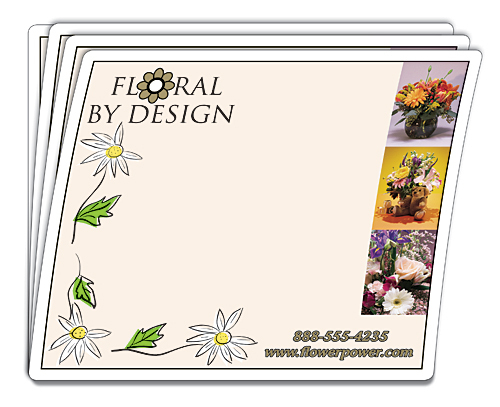 paper memo pads or non-adhesive note pads) are perfect and economical for business or personal use - because now you have a mousepad and a scratchpad all in one. Add your contact information, your logo, a picture, stock art and get your message in front of a captive audience. Includes an adhesive strip on backer to reduce sliding. Keep it handy and have your message seen on a daily basis. Perfect for service contractors, pet care professionals, computer services, real estate professionals, insurance agents, restaurants, pest control services, heating & cooling services, medical care professionals, announcements, etc. 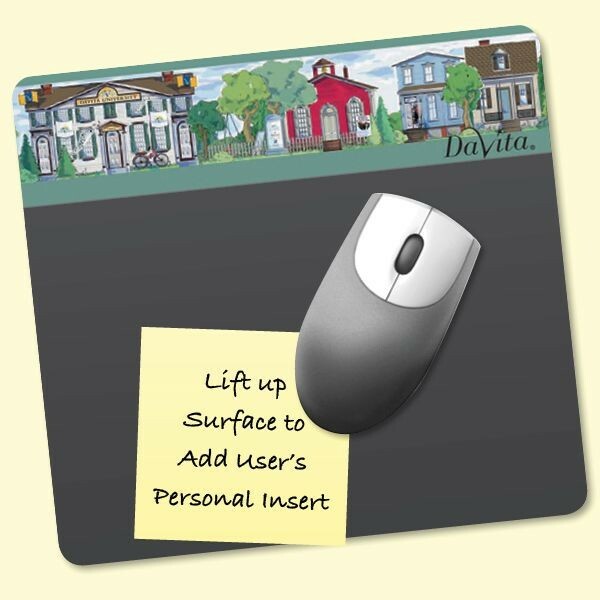 These popular Frame-It Lift® DuraTec® 8"x9.5"x1/16" Lift-Top Window/Photo MousePads let your prospects add personal content like photos, phone lists, notes, software shortcuts, training guides, and quick reference info into this pad's large window area by lifting up the mousepad's surface. 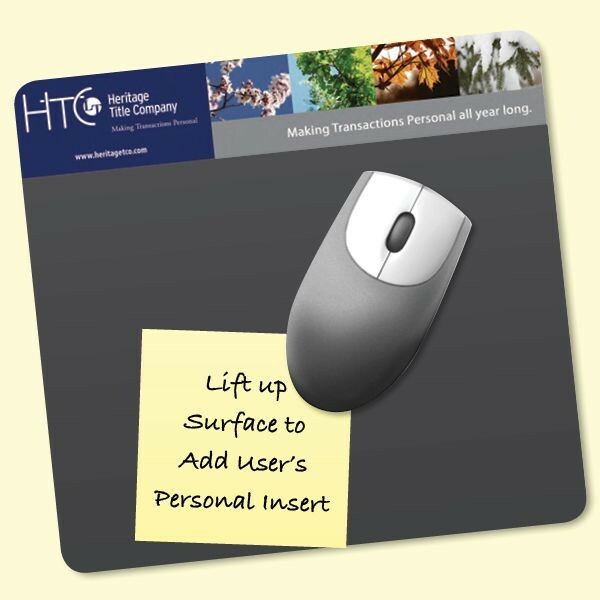 Mixing your customer's cherished photos & critical notes with your branding makes this promotional mouse pad more valuable to your users and more effective for you. Made in the USA using materials ALSO Made in the USA. This ensures your promotion is kept close at hand and in sight. For extra impact, add a custom window shape, business card window, or custom insert to this versatile mousepad. This mouse pad's DuraTec® base is odorless & latex-free making it perfect for hospitals & schools. Minimum order is 100 pads.